Formal announcement likely to be made soon after nod from ACC and President’s consent. Sources said the ministry has recommended R K Dhawan to take over the top post. 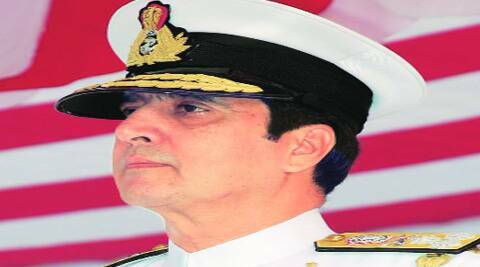 The Defence Ministry has finally moved the file for appointment of a new Navy Chief and has recommended Vice Admiral R K Dhowan, the current Vice Chief, for the top post that has been lying vacant since February when D K Joshi resigned following a spate of accidents involving frontline warships. Sources said the ministry has recommended Dhowan to take over the top post, superseding Vice Admiral Shekhar Sinha who is the senior most officer of the Navy and would have by precedence been appointed as the Navy Chief. However, the fact that a majority of accidents that led to the exit of Joshi in February took place in the Western Command under Sinha seems to have tilted the balance in the favour of Dhowan who is the second senior most officer in the Navy. While the posting will have to be approved by the Appointments Committee of the Cabinet (ACC), Dhowan’s elevation to the top spot is likely to lead to the resignation of Sinha, who would have to face the tricky situation of serving under an officer who is junior to him in service. Sinha is due to retire in August. As reported by The Indian Express, Dhowan was considered to be the top contender for the post, given that Sinha’s tenure as the Western Navy Chief came under a cloud with two fatal accidents involving the Kilo class submarine fleet, besides a spate of incidents on other ships. The formal announcement of a new Navy Chief is likely to be made within the next few days after a nod from the ACC and a confirmation by the President. Dhowan, if selected, will have a tenure of just over two years at the helm of affairs. The officer is currently the officiating Chief of Naval Staff, a charge he was given on the recommendation of Joshi when he put in his papers. The sudden exit of Joshi has thrown the succession line in the Navy in disarray with Vice Admiral Satish Soni losing out on the top spot, given that he was expected to succeed Joshi in case the officer had served a full tenure. As things stand, Vice Admiral Sunil Lamba, who is currently commandant of the National Defence College (NDC) will be the seniormost officer when Dhowan retires as the Chief in 2016.